By now, you will have realised that my best skill is cooking and I like blogging about it too. I am sure, or at least I hope that at some point, I’ll get to the sewing, knitting and other stuff! Here is another food one I wrote in the summer last year but I am now going to use it in a series of *Make your own* posts that I am going to experiment with. Enjoy. My parents have been away for a couple of weeks and I was left with strict instructions to pick the tomatoes from my fathers garden and eat them. Well, I love tomatoes as much as anyone else but I have to admit, there were quite alot of tomatoes to be contending with and there is only so much salad we can eat!! 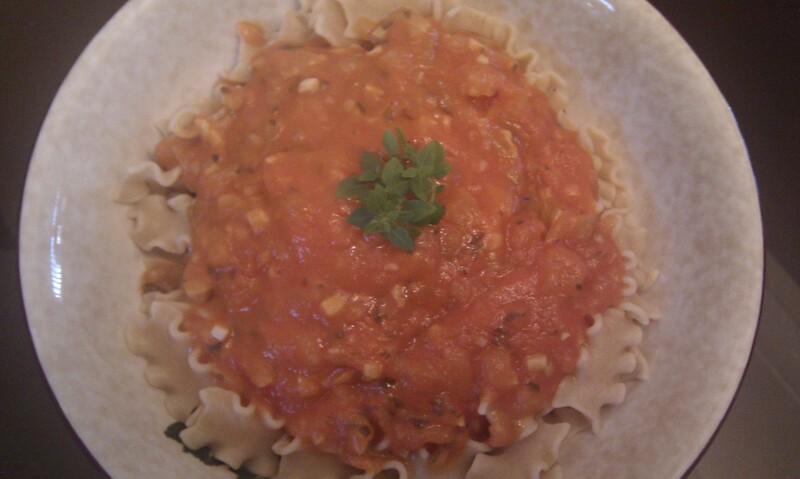 I wanted to do something to test my own skills and so I decided to make a Passata sauce. I have never actually eaten any passata before so was very worried about what I was doing but decided it was all for the name of experimenting! I found a simple recipe online that called for ingredients that I had in the house already. Tomatoes, fresh basil, (I have a pot that was given to me on my birthday), garlic and onions – check! 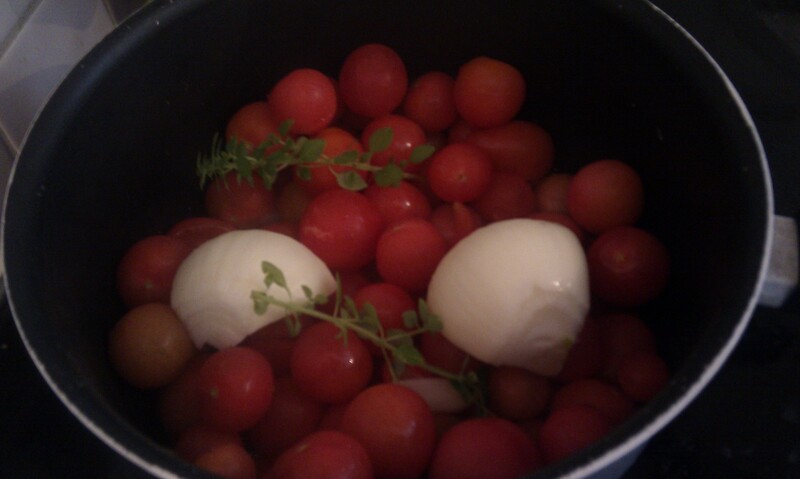 Firstly, I boiled then simmered the tomatoes along with a whole onion and a couple of sprigs of basil for about an hour. Then I had to strain the mix through a sieve as I don’t have a mouli (a food mill) and this took quite a bit of time and really hurt my arms (cooking is good exercise!) but I was pleased with the end result. 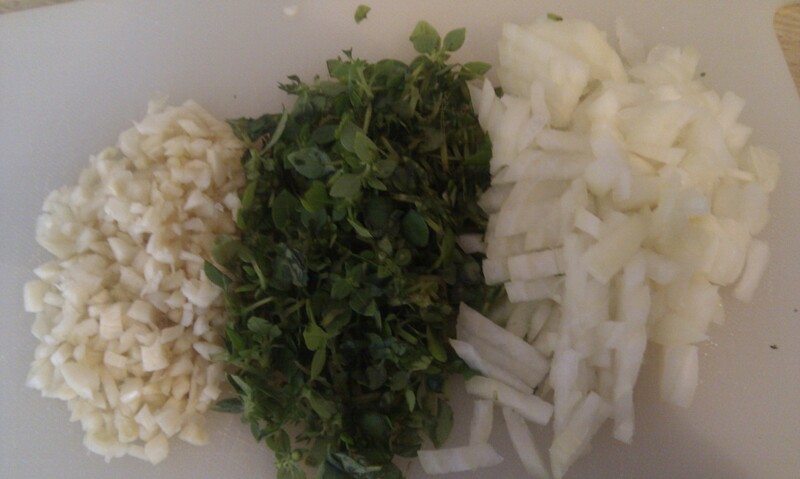 Once you have the sauce ready, you then add a finely chopped onion and several finely chopped cloves of garlic with more basil and salt to taste. I boiled it down until I thought it was thick enough to be a *sauce*. The aroma of garlic and basil had engulfed the house making us all hungry. For my first attempt at making this sauce, I think it went very well indeed. I was more happy because I used two homegrown ingredients which, even though I didn’t grow at home myself, it still gave me a personal sense of satisfaction! If you feeling even more adventurous, you can couple the sauce with a homemade pasta and garlic bread too! So this weather doesn’t seem to be able to make it’s mind up! One day it’s dark and damp, the next it’s bright and freezing. Whatever happens, we have another two months of it at least and what better way to get through it all than to have a nice bowl of something hot! Here is a quick and easy recipe for a lovely winter recipe. Try it with a crusty baguette or even garlic bread. Banish those winter blues with this yummy dish. 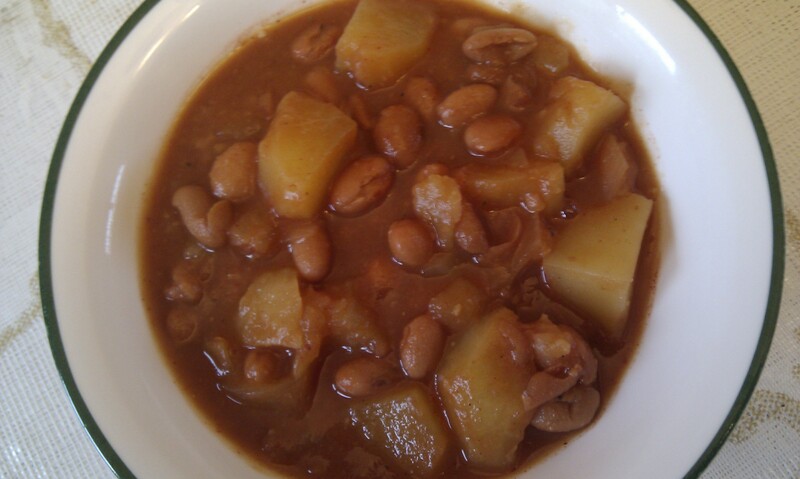 Place the beans, potato, onion, olive oil, turmeric and tomato puree into a pan and cover with water. Add salt and pepper to taste. Bring to the boil and simmer for 20 minutes or until potato is soft. Ten minutes before serving, add the lemon juice and more pepper to give it a kick. Enjoy!